Kitchen! Kitchen! : wild about oyster mushrooms.......at kitchen! kitchen! wild about oyster mushrooms.......at kitchen! kitchen! sweet tasting and quite versatile too. Blends well in a variety of dishes. of the season. No need to forage around your backyard or in the woods for these. the rotation". I have come up with a few rotation of dishes for dinner each week. One would be a dinner of fish (or any seafood), another chicken or turkey dish. pasta is only served if I am being lazy and needs to do a quick dish. to spend in the kitchen in a more relaxed mood. Oyster mushroom chili perking away in a deep pan. 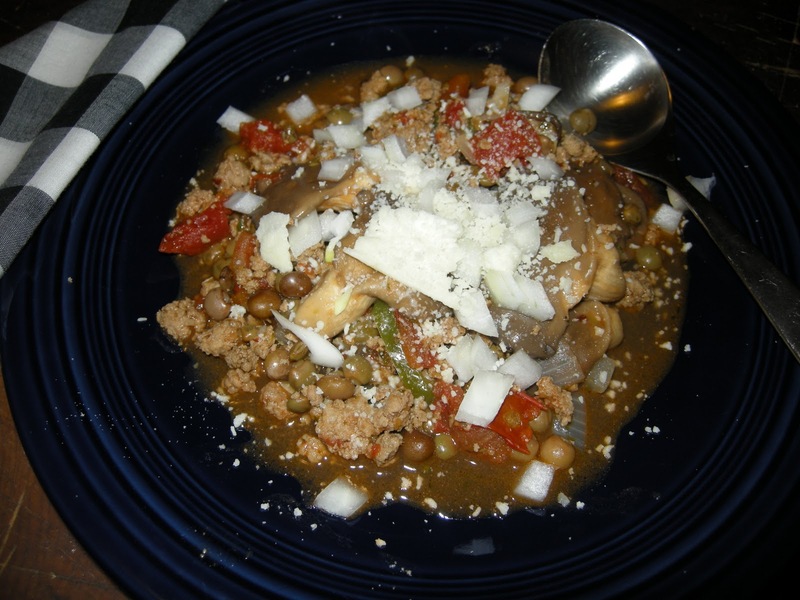 A more reduction of the sauce will make this a wonderful filling for tacos. In a large deep pan heat the oil and add the ground meat until the water from the meat evaporates; make a small well in the middle and add the diced garlic, onions, chili pepper until translucent. 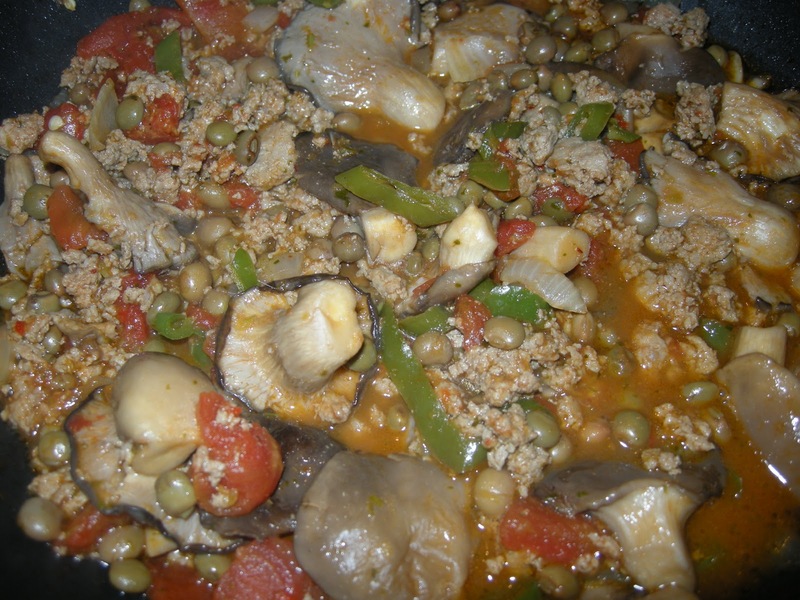 Continue cooking for about 3 minutes before adding the mushrooms, mixing well; incorporate the tomato paste, sofrito; add the diced tomatoes, and let simmer for 10-15 minutes before adding the gandules verdes. Simmer for another 10 minutes. * you may simmer this longer to reduced the sauce for TACOS.